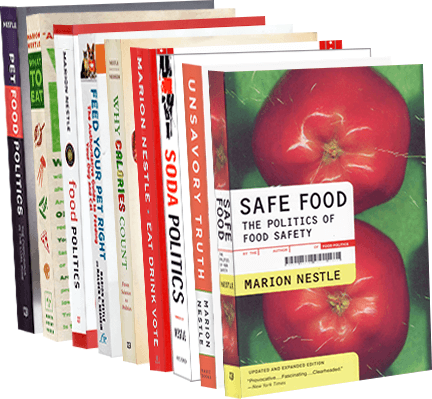 Food Politics by Marion Nestle » Do We Need Better Advice About Eating Well? I Vote Yes. Do We Need Better Advice About Eating Well? I Vote Yes. Of course Americans need more information about eating well. Otherwise we wouldn’t have an obesity problem. In my daily teaching and contact with the public, I hear endless confusion about what to eat. People are bombarded with conflicting advice, much of it from sources with a vested interest in selling particular foods, supplements or diet plans. Nutrition studies tend to focus on single nutrients, making their results difficult to apply to real diets. No wonder people have a hard time knowing what or whom to believe. This is too bad, really. The basic principles of healthy eating could not be easier to understand: eat plenty of vegetables and fruits, balance calorie intake with expenditure, and don’t eat too much junk food. If such principles seem hard to follow, it is surely because of how they affect the food industry. Balancing calorie intake often means eating less, but doing so is bad for business. Food companies must do everything they can to sell more food, not less. So they make foods available everywhere — even in drug, book and clothing stores — and in very large portions. Few people can resist eating tasty food when it’s right in front of them. Large portions alone explain rising rates of obesity: they encourage people to eat more calories but to underestimate what they have eaten. Healthy eating requires a food environment that makes it easier for everyone to make better choices. It also requires a food system that makes it cheaper to buy fruits and vegetables than less healthful foods, so everyone can afford to eat healthfully. Fix the farm bill!